8 new solo artists who made major strides this year. Hip hop has always been a young man's (and woman's) game. With that being said, artists seem to be generating buzz younger than ever, usually finding an audience long before they sign a deal. We've been seeing an increasing number of new faces over the last few years, but not all of them stick around for too long. In 2016, there were quite a few artists who broke the barrier of pure internet hype to suggest further success down the road, and while there's no telling what the future will hold, we've selected 8 new artists who made a real impact this year. Some of them we already knew last year, some of them were more divisive than others, and one of them had already found success in his group before hinting at what he could do solo. Take a look through the selections in the galleries above, and let us know which of these artists owned and 2016, and who has the most potential to do great things in 2017 and beyond. Before you get too upset about omissions, make sure to check out last year's list (including Lil Uzi Vert, Anderson .Paak, etc.) here. Lil Yachty is still one of the most divisive artists in rap, but in many ways it’s played to his advantage. 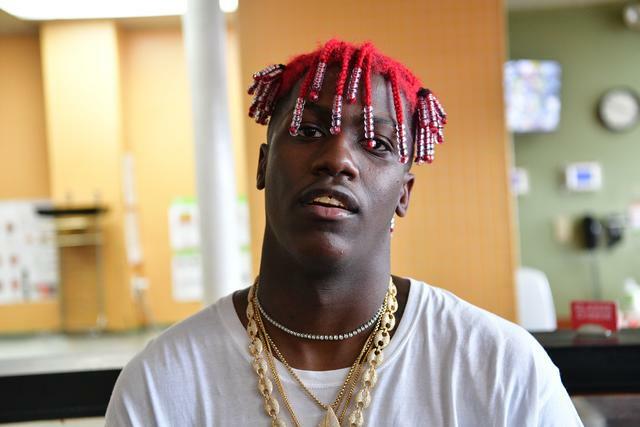 Coming up off a prolific SoundCloud output that earned him a considerable following on the platform, Yachty’s colorful, nursery-rhyme-like take on Atlanta trap has resonated with a younger demographic, while simultaneously alienating traditionalists. Yachty has embraced the criticism he’s received from purists, candidly voicing his perfectly normal-for-his age opinions on rap to the horror of 90s fetishists, always doing so with a troll-ish grin that ensures he’s kept on the tongue of those who don’t give his music the time of day. With that being said, Yachty’s music is still the driving force of his success. While he began the year picking up steam online, his guest verse on DRAM’s “Broccoli” and infectious solo hit “1 Night” have gone on to become rap radio staples, and have each made a dent on the Hot 100, the former climbing to the top ten. Yachty has officially eclipsed being a hype artist, accumulating a real fanbase, and showing growth in his songwriting throughout the last year. As a rap fan, it was impossible not to pay attention to Lil Boat in 2016, and at this momentum, it should continue into 2017. 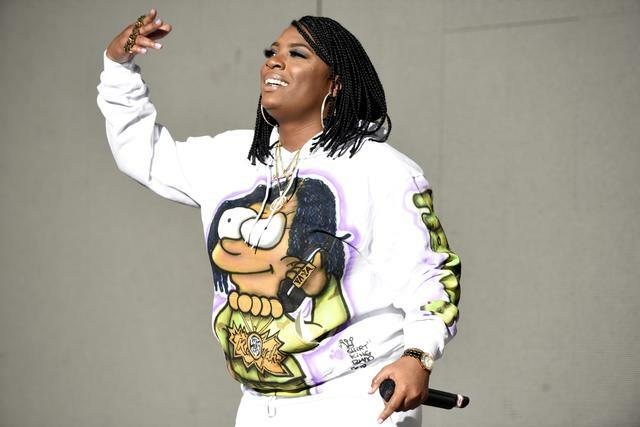 Kamaiyah’s “How Does It Feel” was an aspirational single that hinted at transcendence, and the West Coast rapper’s full length project A Good Night In The Ghetto delivered in the promise of the track. Kamaiyah went on to guest on YG’s “Why You Always Hatin,” pairing her not only with a like-minded mentor but also earned her a co-sign from Drake, who also appeared on the song. Despite all the talent around her, Kamaiyah shone the brightest, perhaps because the song was originally her own, and served as a statement on how far her sound could take her. With that being said, “A Good Night In The Ghetto” is all Kamaiyah, proving her worth as an album artist on her first tape. Given her success rate so far, it doesn't seem out of the question she could do it all over again on a bigger scale next year. Kodak Black spent a large part of 2016 behind bars, but it didn't stop him from having his biggest year yet. The success of “Skrt” poured into the new year, but the biggest moment for the Floridian rapper came with his guest appearance on French Montana’s “Lock Jaw,” arguably one of the strongest rap releases of the year, and one that is inarguably carried by Kodak’s performance. Often lumped into the new wave of rappers that include Lil Yachty and Lil Uzi Vert (or as naysayers would refer to them; mumble rappers), Kodak actually stands apart from his perceived peers, recalling Boosie’s Southern introspection as much as the trap stylings of the new generation. However promising his career seems, Kodak is facing serious sexual battery charges, which along with being very disturbing, could potentially see him back behind bars for much longer if convicted. It's a strange time for Kodak and Kodak fans to say the least. 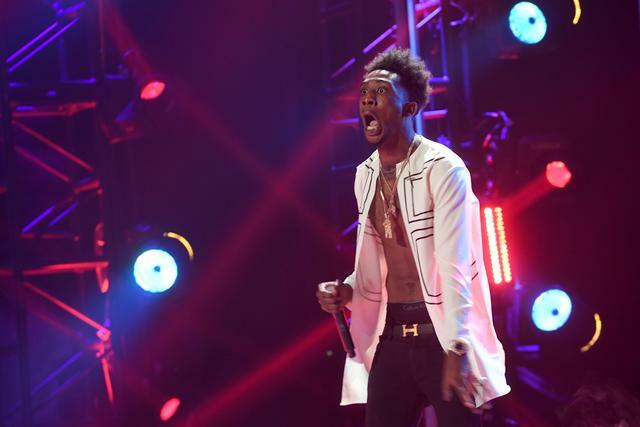 Desiigner’s “Panda” was the first rap single with no singing to hit number 1 on the Hot 100 since Soulja Boy’s “Crank Dat,” which gives you a good idea of the Brooklyn rapper’s hook-crafting ability. While his mixtape was admittedly not as strong as “Panda” may have suggested, Desiigner proved the single was more than a one off when he shared his acapella XXL freestyle, a snippet that came to be known as “Tiimmy Turner,” that later produced a properly recorded version that went on to earn the rapper a second hit (which recently reached gold status). Signed by GOOD Music and featured on Kanye West’s The Life Of Pablo, Desiigner certainly got a leg up from his Kanye endorsement, but the “Panda” takeover made it clear that the song was far bigger than its co-signs (let’s not forget it had over a million listens prior to the Madison Square Garden event.) Desiigner had easily one of the biggest breakout years of any rapper in 2016, but his 2017 is less certain. Will he continue to succeed as a solo artist or continue to experience the pitfalls of his mixtape work? 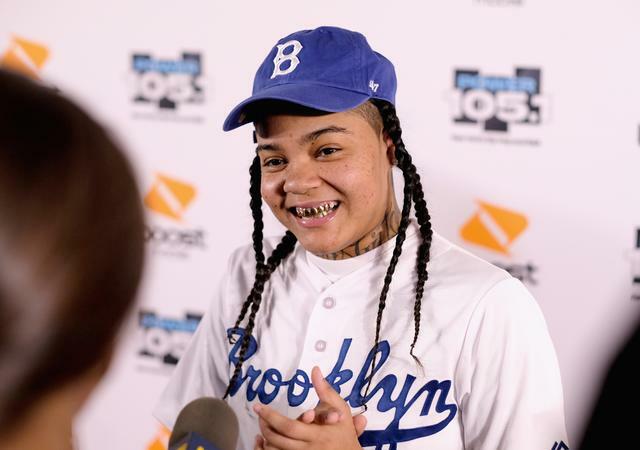 For Young M.A, much like the New York-based acts before her (Bobby Shmurda, Desiigner, Fetty Wap*), all it took was one single to make a break for rap stardom. Some would say that M.A’s “OOOUUU” bore some resemblance to Shmurda’s “Young N*gga,” but even Shmurda himself credited it more to their mutual borough,“I feel like it sounds like Brooklyn, he told Complex. “It sounds like it’s supposed to sound like. She’s doing what she has to do, just show love.” While channelling the feel of her neighborhood, M.A stood out mostly through her defined personality. 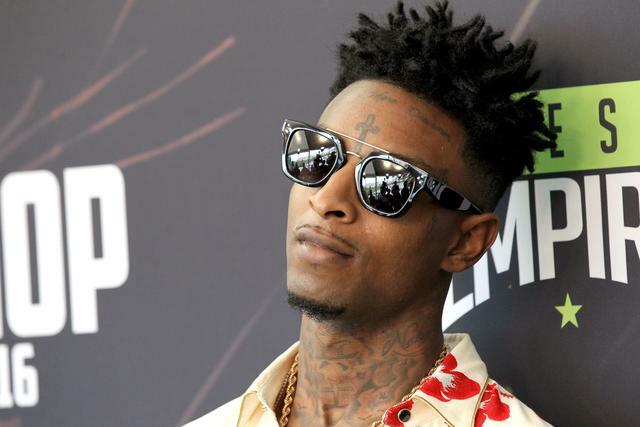 The song’s most quotable line “You call her Stephanie / I call her Headphaniiiiiie” couldn’t be sold nearly as well by a less charismatic performer, and it’s this energy that inspired so many artists (including Nicki Minaj and Meek Mill) to create their own freestyle versions of the track. With these type of remixes, it’s easy for more established artists to run away with the hype of a great song off name recognition alone, but M.A proved that she has the star quality to keep the definitive version of the song. Plus, while “OOOUUU” succeeds primarily due to style and character, M.A has proved she’s also a keen rap technician that could impress any New York traditionalist. It seems like the perfect recipe for a new star from the city. Quavo was already well known for his work in Migos, but 2016 was truly a breakout year for the Atlanta rapper as a solo force. Developing both a nimble rap flow and a gift for catchy melodies, Quavious Marshall’s combined writing skills earned him some enviable guest appearances this year, and he always took the opportunity to take the song’s he appeared on to the next level. From his short but sweet opening to Kanye West and company’s ambitious “Champions” to his Birds In The Trap-titling, non-”discriminizing” finale on “Pick Up The Phone,” Quavo was never presented with a patch of empty bars he couldn’t revolutionize. While Migos remain a reliable team of hitmakers (with Offset getting his own star-making moment on “Bad and Boujee”), the concept of a Quavo solo project crossed the minds of many rap fans this year. D.R.A.M.’s “Cha Cha” may have been a considerable hit that caught the ears of Beyonce and the rest of America, but it wasn’t until 2016 that we truly got to know the Virginia singer and rapper. As strong an opening statement as “Cha Cha” was, D.R.A.M. topped it in more ways than one this year, releasing “Broccoli,” a song that doubled down on his exuberant charm, while also giving us a better sense of the man behind it -- someone whose aspirational charisma we needed more than ever. 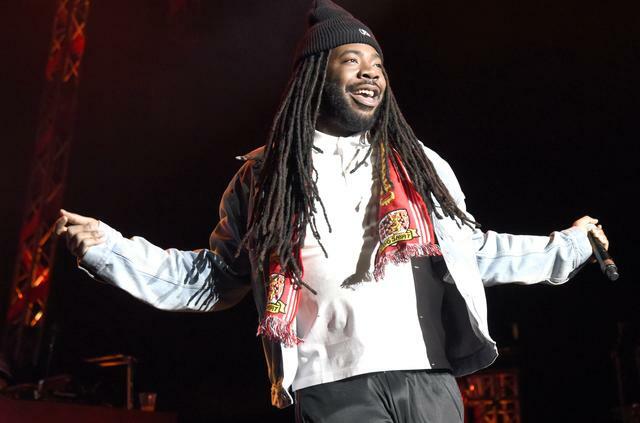 The song proved to be an even bigger hit than its predecessor, rising to number 5 on the Hot 100, and giving way to the songwriter’s debut album Big Baby D.R.A.M., which illustrated his versatility and further cemented him as an artist with the potential for longevity. Cardiak Breaks Down The Beat For J. Cole's "Immortal"